For an instant garden, just add soil! Our Grow Tub® Raised Garden is a fast, convenient way to add garden bed space to your yard, deck, or patio! It's made of our Grow Tub® material--nonwoven geotextiles that are ideal for proper air and water circulation for plant roots, so your plants will grow healthy and strong. When the season ends and you're done with the Grow Tub, it's easy and quick to clean and store for next season. 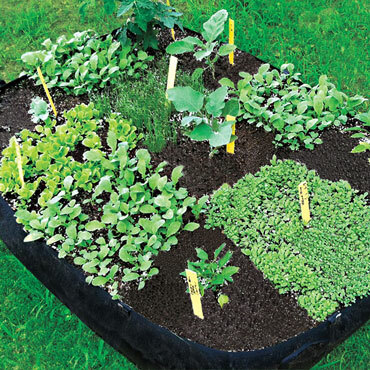 Perfect for use with our wide variety of available Square Foot Seed Mats. Offering 12 sq. ft. spaces, this raised garden bed measures 3' x 4' x 10" deep. Holds 10 cubic ft. or 258 quarts of soil on average.